Leon’s U-shaped bar encourages conversation. 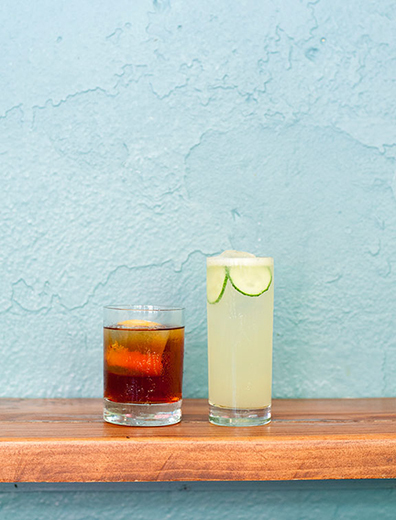 Its cocktail list—which on a recent night included drinks made with mezcal, cachaça, and genever—encourages experimentation. Its menu—the $7 fries are a meal themselves—encourages gluttony. Oh, and its extensive beer menu will delight any hops snob. On pleasant nights, ask for patio seating. The scene Early on? Decatur parents and their kids. Later? Waitstaff and chefs from other restaurants, comparing tats.